A television appeal for information about the murder of 13-year-old Milly Dowler six years ago has provided new leads for detectives. Milly disappeared in Walton-on-Thames, Surrey, on 21 March 2002. 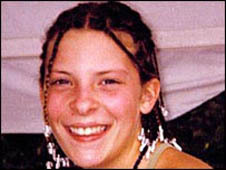 Her body was found in Hampshire six months later. A new reconstruction of her last known movements featured on BBC One's Crimewatch on Monday. A Surrey Police spokesman said they had 49 calls in response to the programme, some "potentially significant". 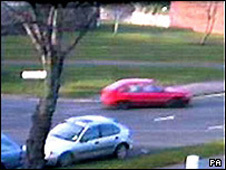 A Daewoo Nexia car was seen on CCTV footage taken on the day Milly went missing on her way home from school. Police believe it may have been used to abduct Milly and dispose of her body. The red car, with the registration number N503 GLT and chassis number KLATF68V1SB554108, has never been found. Detectives investigating the murder appealed for help to find out what happened to the car and whether someone helped the killer to remove traces of the crime. A reward of £50,000 is on offer for information that leads to her killer. Levi Bellfield, 34, who is serving a full life sentence for the murders of Marsha McDonnell and Amelie Delagrange in London, has been named as a suspect in the Milly Dowler case.